“Walang lamangan, walang padrino at walang pagnanakaw. Walang wang-wang, walang counterflow, walang tong”. Abused with impunity by an arrogant Arroyo administration for more than nine years, many were predictably thrilled by this strong statement from the new President. But beyond the walang wang-wang rhetoric, did President Benigno “Noynoy” Aquino III offer anything fresh in substance, like his vision of long-term economic development, in his much hyped inaugural speech? In his inauguration packaged by the mainstream media as a day of hope and new beginning, Aquino reaffirmed that the guiding principle of his presidency is good governance and anti-corruption. “Sigaw natin noong kampanya: “Kung walang corrupt, walang mahirap.” Hindi lamang ito pang slogan o pang poster — ito ang mga prinsipyong tinatayuan at nagsisilbing batayan ng ating administrasyon. 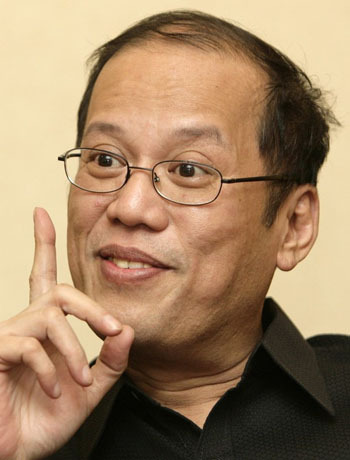 The “corruption causes poverty” discourse is an idea not original to Aquino. It was a principle long developed and promoted by the International Monetary Fund, the World Bank and neoliberal apologists to deodorize the follies of their structural adjustment programs (SAPs). “Corruption is the greatest obstacle to reduce poverty”, the World Bank declares in its anti-corruption webpage. It also says that its “focus on governance and anti-corruption follows from its mandate to reduce poverty – a capable and accountable state creates opportunities for poor people, provides better services, and improves development outcomes”. Why is this point important? Because the World Bank and apologists of neoliberalism designed and advertised the discourse to justify the flawed economic policies they have been promoting in the last 30 years. According to this discourse, underdeveloped countries remain poor not because of liberalization, privatization, deregulation, automatic debt servicing, reduced public spending on social services, regressive taxation, wage freeze, etc. These policies work but a corrupt bureaucracy and other governance issues undermine them. This is the same message of Aquino’s “kung walang corrupt, walang mahirap”: Arroyo’s neoliberal economic policies are okay, but they don’t benefit the people because of corruption and bad governance. But there is a wealth of literature that has accumulated over the years showing how neoliberal policies and structural reforms aggravated the underdevelopment of Third World countries and the impoverishment of their people (for instance, click here). The worsening hunger and poverty in the rural areas, for example, have been clearly traced to the liberalization of agricultural trade which has built on the imbalanced and exploitative trade relations among countries since the colonial times and lack of genuine agrarian reform. In cases like the Philippines where seven out of 10 farmers are landless, the onslaught of imported, tariff-free, and highly subsidized agricultural goods have meant even more vicious poverty and hunger in the vast countryside. The late President Cory Aquino, doubtless the stronger symbol of an upright government official than her son, accelerated trade liberalization including in agriculture upon the dictates of the IMF-World Bank. Combined with her promotion of the stock distribution option (SDO) under the bogus Comprehensive Agrarian Reform Program (CARP) to protect her family’s Hacienda Luisita, Cory’s neoliberal policies mercilessly pushed Filipino farmers and farmworkers into unspeakable deprivation. The miserable plight of farmers due to these structural defects is exacerbated by corrupt agriculture officials like Arroyo’s undersecretary Joc-joc Bolante of the P728-million fertilizer fund scam. Thus, a holistic approach to rural poverty should include junking the SDO and CARP in favor of genuine agrarian reform, protecting domestic agriculture from undue competition from imports, and jailing people like Bolante. Aquino is simply offering the last which is not surprising for a President who comes from one of the biggest landowning clans in the country. Without question, Aquino will simply maintain the neoliberal economic policies and programs that have been imposed by the IMF-World Bank, many of which were first implemented during the first Aquino (1986) administration. For one, key people in Noynoy’s economic team are former officials of previous administrations, including Arroyo’s, and played important roles in implementing IMF-World Bank-dictated neoliberal structural reforms in the last three decades. His Finance Secretary, Cesar Purisima, for instance, was Arroyo’s Finance chief who led the campaign to raise the VAT in 2005 (RA 9337). Purisima was the Chairman and managing partner of accounting giant SGV & Co. whose clients include over 65 percent of the biggest 1,000 local and foreign corporations in the country. They are also among the known biggest tax evaders such as Lucio Tan. Purisima even worked for lower taxes for Tan’s companies and his other former clients when the corporate income tax was reduced from 35 to 30 percent under RA 9337. More importantly, by refusing to recognize the impact of neoliberal policies on the country’s fiscal operation and resource generation and management, there is no way that a sustainable, pro-people response can be made to address the country’s perennial fiscal woes. Meanwhile, Aquino’s National Economic and Development Authority (NEDA) Director General, Cayetano Paderanga Jr., was the NEDA chief who watched over the implementation of neoliberal structural reforms during the Cory administration. He was also a Board member of the Bangko Sentral ng Pilipinas (BSP) from 1993 to 1999 when the country undertook aggressive financial liberalization and consequently suffered the costs of the 1997 Asian financial crisis. He was the executive director for the Philippines at the Asian Development Bank (ADB) from 2001 to 2003, during which the ADB successfully pushed for its long-time advocacy of power sector privatization and deregulation (i.e. legislation of the Electric Power Industry Reform Act or Epira). Aquino retained Arroyo’s Foreign Affairs Secretary, Alberto Romulo, and promoted her Trade undersecretary Gregorio Domingo, who both played important roles in the negotiation and ratification of the one-side free trade deal, Japan-Philippines Economic Partnership Agreement (Jpepa). Romulo also served as Finance chief of Arroyo. “Bubuhayin natin ang programang “emergency employment” ng dating pangulong Corazon Aquino sa pagtatayo ng mga bagong imprastraktura na ito. Ito ay magbibigay ng trabaho sa mga local na komunidad at makakatulong sa pagpapalago ng kanila at ng ating ekonomiya”. To do this, Aquino just have to continue what Arroyo has already started out as the Comprehensive Livelihood and Emergency Employment Program (CLEEP). It was supposedly designed to pump prime the economy during the height of the global financial and economic crisis through spending on infrastructure among others. There was no mention about strengthening the domestic economy or implementing genuine agrarian reform as long-term solutions to joblessness and poverty. RATE is among the USAID-funded programs under the $20.7-million Millennium Challenge Account (MCA) – Philippine Threshold Program (PTP) that started in 2006 which aims to curb corruption, tax evasion, and smuggling. To address poverty and hunger, Aquino instructed his (and also Arroyo’s) Social Welfare Secretary Dinky Soliman of the “If we hold on together” and P1.47 Peace Bond scam infamy to continue the conditional cash transfer program of the Arroyo administration. Dubbed Pantawid Pamilyang Pilipino Program (4Ps) and promoted by the IMF and World Bank, Arroyo used the program to justify the continued collection of the VAT amid the oil and food price crises in 2008. Late last year, the World Bank approved a $405-million loan to bankroll the continued implementation of conditional cash transfer and other DSWD projects. In exchange for what? The IMF-World Bank are as usual behind the renewed push for another round of VAT rate hike and other taxes to address the fiscal deficit. During the campaign, Aquino asked Filipinos to take the righteous path (“daang matuwid”) with him. But his stand on the controversial Charter change (Cha-cha) is another unmistakable indicator that in the next years the Philippines will thread the same crooked path of neoliberal restructuring. When asked for his reaction on (Congresswoman) Arroyo’s filing of House Resolution No. 8 which proposes Cha-cha, Aquino was no longer combative. “It should be proved that the gains are better than the risks. Secondly, if she’s pushing for it has to go through the legislative mill”, Aquino said. Among the top priorities of Aquino is Cha-cha, which he said shall be studied by a commission in his first 100 days to review possible changes to economic provisions particularly the restrictions on foreign ownership of strategic industries and agricultural lands. Aquino and his economic team know that the next wave of neoliberal restructuring could only push through if Cha-cha is implemented. And the external pressure – from the US and European Union (EU) – to amend the Constitution is growing. The EU has recently concluded a Partnership Cooperation Agreement (PCA) with the Philippines and is now moving towards the next phase of negotiations for a formal trade and investment deal. The US, meanwhile, appears interested again to restart stalled talks for its own bilateral economic deal with the Philippines, even sending its highest foreign trade official Trade Representative Ron Kirk to head the US delegation in Aquino’s inauguration. These deals could only bring maximum benefits to the Americans and Europeans with Cha-cha. The political risks are high especially with the unconcealed agenda of Arroyo to be again at the helm of political power by shifting the form of government to a parliamentary system via Cha-cha. To counter this, Aquino’s allies at the House may push Cha-cha exclusively for economic reforms first (and other reforms like nuclear ban, foreign bases, etc but not the form of government) to accommodate foreign interests, especially the US. Political reforms can come later when Arroyo has already been “neutralized” through conviction or a compromise deal. Or Aquino’s allies can push for economic and political reforms from the outset but will ensure that Arroyo will not benefit politically. At any rate, it is certain that Cha-cha will be pursued by Aquino and this would complete the surrender of whatever is left in the country’s sovereignty and patrimony. And this is supposedly our new hope and beginning? i’m a former employee under cleep program of former Pres. Arroyo, ngaun po ay isa na akong tambay dahil sa pagkawala nito under Pres. Aquino. May possibility pa ba na maibalik ang programang ito. Ayon sa evaluation ng office na napaglingkuran ko, kami ay isa sa mga asset ng agensya dahil nga po halos karamihan na sa mga employee nila ay naghihintay na lng ng retirement nila and/or sweldo tuwing a kinse at trenta, (the usual government office scenario).Ano po ba ang magagawa ni Pres Nonoy para po makabalik kami sa aming trabaho. Sana po ay matulungan nya kami. hi arlyn. emergency jobs din ang plano ni noynoy batay sa kanyang inaugural speech. pwedeng hindi na cleep ang itawag pero same concept. this may give temporary (at limited) jobs pero ang argument nga ay dapat long-term, permanent at sustainable jobs. paano? immediate na dapat gawin ay pag-regulate sa foreign investment at totoong suporta sa filipino industries (like what japan & other rich countries did before they became what they are today) at saka totoong land reform. unfortunately, mukhang walang ganitong plano si noynoy. history can judge all we have to do is to support our new president elect if he can really work rightly and based from his conscience let just cooperate and wait dont expect for good rather expect less from him to prevent disappointments lets just pray for him for the better and good governance. correct me if I am mistaken the only problem is in our self as long as we are not working for our self we can never fight poverty, in short cast away our laziness act.and support the government programs, God bless pilipinos. It is not just a matter of support but also of action. If we leave it all to the government, the Philippines will remain in the quagmire of poverty. We Filipinos should act in our own small way, and the first step towards doing this is paying the correct taxes! That way, the government will get enough funds to build the infrastructure so that more investments come in. More investments means more schools, malls, condos, airports, and hospitals. I think he is a nice person!